The world of DSLR photography is totally dominated by Canon and Nikon today. The Nikon D5300 and the Canon EOS 60Da are two extremely popular models from these two camera tech-giants. There is very little common among these two models. Let’s check out the basic features and differences among them. When comparing between the Canon EOS 60Da and the Nikon D5300, the EOS 60Da does not really have a lot to offer. However, it does shoot a little faster at the highest resolution than the Nikon D5300. The video autofocus is faster in the 60Da than that in the D5300. The maximum shutter speed is also twice faster. The best thing about EOS 60Da is that it offers a flip-out screen, which is not available in the Nikon D5300. The Canon EOS 60Da is also weather sealed and has a narrower body than the Nikon D5300. When you’re buying a camera, the photo resolution is one of the most important parameters you would like to include in your selection criteria. 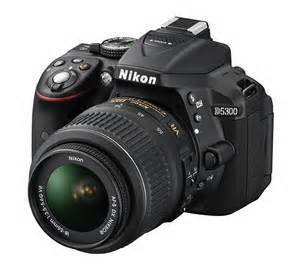 The Nikon D5300 offers 24.1 megapixels, which is fairly higher than most mid-range DSLR models. The good thing about having a higher resolution camera is that, when a photo accidentally gets blurred, it would look okay when scaled down. So that’s a positive thing about having a higher resolution camera. In the Nikon D5300, the sensor is quite large and the maximum light sensitivity in the Nikon D5300 is also higher standing at 25600 ISO. Wi-Fi is one of the special features of the Nikon D5300. It also comes with a stereo microphone and offers GPS service, allowing global positioning, geo-tagging of photos, as well as navigation options. The Nikon D5300 has AF tracking system and the autofocus will follow the subject even if it starts to move. The flash X-sync is really fast compared to other camera models. When you’re recording movies, the autofocus is continuous. The screen is also large at 3.2 inches. The body of Nikon D5300 is 76 mm thin, which is very narrow for a compact DSLR. To wrap it up, despite the Canon 60Da offering some cool features, the Nikon D5300 is the clear champion among the two. If you’re looking for the best DSLR to buy, Nikon D5300 can be an excellent choice. It offers everything you might need and nothing that you won’t! Nikon D5300 offers higher resolution than the 60Da. The sensor is larger in the Nikon D5300 than the 60Da. The maximum light sensitivity in the Nikon D5300 is higher than the 60Da. Nikon D5300 comes with Wi-Fi and GPS, which is not available in the Canon EOS 60Da. Nikon D5300 offers AF tracking, but the EOS 60Da does not. Canon EOS 60Da has a flip-out screen, but the Nikon D5300 does not. Canon EOS 60Da is weather sealed, but the Nikon D5300 is not. The display screen in the Canon 60Da is branded and damage resistant, unlike that of D5300. ishraq. "Difference between D5300 and EOS 60Da." DifferenceBetween.net. March 25, 2014 < http://www.differencebetween.net/object/gadgets-object/difference-between-d5300-and-eos-60da/ >.